Many won’t miss the extra features this tabletop radio is missing. If you looked at Como Audio’s Duetto tabletop radio and couldn’t swallow its $399 price tag, Tivoli Audio’s Model One Digital sounds about as good and costs $100 less. The Tivoli lacks a number of features compared to its competitor, but you might not miss them. Like the Duetto, the Model One Digital is equipped with an FM radio, but it’s primarily designed for streaming digital music. There’s Bluetooth support, of course (although aptX support is conspicuous in its absence), or you can connect it to your Wi-Fi network and play the music you own via a DLNA server. There’s also support for most of the major streaming services, including Spotify Connect, Tidal, Deezer, and the lesser-known (in the U.S., at least) QQ Music. There’s TuneIn support for Internet radio stations, but Apple Music is not supported, and neither is Apple’s AirPlay technology. Kudos to whoever designed Tivoli Audio's app. You control the radio mostly from Tivoli’s app, which is available on Android and iOS devices. You can also perform basic functions with the volume/power knob and the aluminum ring encircling the radio’s 3-inch display. 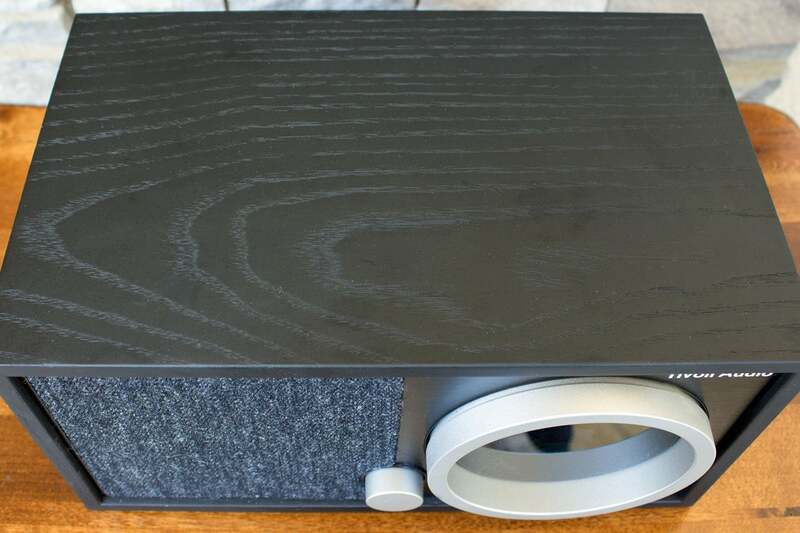 Turning the ring changes stations and presets on terrestrial radio, and scrolls through playlists on streaming media. Pushing the ring in pauses and resumes a stream. I expected to encounter a bit of play in the larger ring, but the way the volume control knob wiggles under your fingertips feels disappointingly sloppy. The rest of the radio feels so precise in comparison. The circular display shows basic information, such as the track and artist name, the current source, the status of your network connection, and the time. 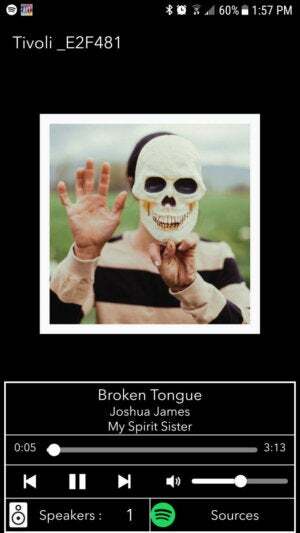 But the only way to view album art is on your device, via the app. 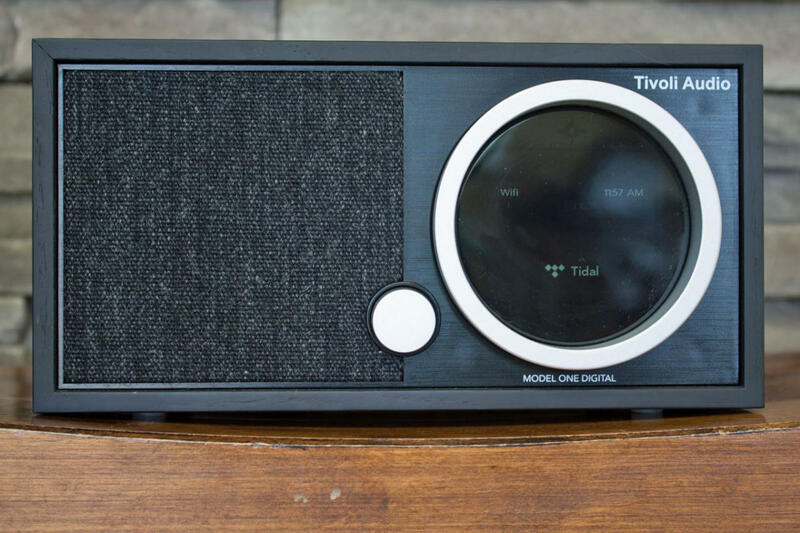 The Tivoli Model One Digital has elegantly retro styling, but its largeish display is underutilized—no album art. As does Como, Tivoli has its own multi-room audio ecosystem, with several other speakers that can be networked and controlled from the app. The Model One Digital has a “party mode” button on its back that can instantly stream the same music to all the compatible speakers at once. 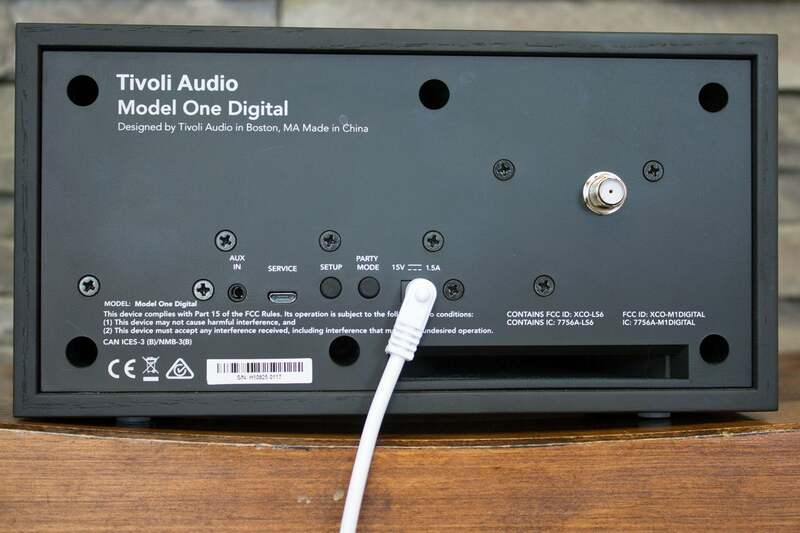 It’s on this point that Tivoli offers a significant benefit over Como: Buy Tivoli’s $60 ConX, and you can transform any speakers into a Tivoli network node. Or you can use the same device to stream music from any audio device—a turntable, for example. That’s pretty cool. The 3.5-inch slot port helps the Tivoli Model One Digital deliver impressive bass response. But the paucity of inputs and outputs is disappointing. This is a good time to sum up the features that Como Audio includes in the Duetto that you won’t find on Tivoli’s radio: I’ve already mentioned two of them: aptX codec support and the ability to display album art on the radio itself. The Model One Digital also lacks NFC support, for quick-and-easy Bluetooth pairing; a headphone output; an optical digital audio input, a line-level output (there is an analog Auxiliary input); a USB port for playing music from USB storage, which can also be used to power a Chromecast dongle or an Amazon Echo Dot; and hardware radio preset buttons. The cabinet is made from furniture quality wood, with a tweed-like cloth grill. The ring around the display has multiple function. You’ll need to decide for yourself, but that’s a lot of features to give up to save a hundred bucks. Fortunately for Tivoli, it doesn’t sacrifice audio quality. The diminutive Model One Digital sounds fabulous, reproducing music in high fidelity at volume levels that are entirely disproportionate to its size: Crisp highs, a well-defined midrange, and surprisingly robust bass response, thanks to a 3.5-inch slot port in back. I no longer have the Duetto to make an A/B comparison, but going by memory, I’d say audio quality is a tossup at worst. Having said that, however, I think the Duetto earns its price premium. It's a little short on extra features, but it sounds beautiful whether it's streaming music from services like Spotify and Tidal or from your own digital library.